Greetings again from the darkness. Your recollection of Tonya Harding is likely not that she was the 1991 U.S. Champion figure skater and a two-time Olympian. And rather than honoring her as the first female skater to land a triple axel in competition, you likely remember “the incident” in 1994 where she whacked her on-ice rival Nancy Kerrigan on the knee with a club. Only Ms. Harding wasn’t the one who attacked Ms. Kerrigan … and that’s only the beginning to what director Craig Gillespie (LARS AND THE REAL GIRL) and writer Steven Rogers (P.S. I LOVE YOU, and a bunch of other mushy stuff) detail in this madcap look at a reality infinitely stranger than most fiction. Margot Robbie (THE WOLF OF WALL STREET) stars as Tonya Harding, and it’s a career-defining performance … funny, tragic, physical and emotionally charged. 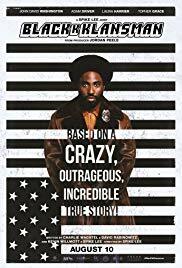 This isn’t the expected bleak biopic, but rather it’s a brilliant blend of parody, docudrama, and dark comedy focused on some real life folks that will surely make you grateful for your life. Harding’s abusive, profane and icy mother LaVona is played with aplomb by Allison Janney, who manages to bring some humor to the role of a woman whose approach went far beyond the realm of tough love and straight into cruelty. Sebastian Stan plays Tonya’s husband Jeff Gillooly and Paul Walter Hauser is Shawn Eckhardt, his friend and co-conspirator. In regards to these last two gents, we spend most of the film trying to decide if they are goofy, ignorant or downright dangerous (or all of the above). Director Gillespie expertly weaves together the domestic scenes, ice skating scenes, and “current” interviews with the main characters. The domestic scenes include Tonya and Jeff, Tonya and her mother, Eckhardt with Tonya and Jeff, and Eckhardt with his own parents. The ice skating scenes emphasize how hard Tonya worked and her relationship with Coach Diane Rawlinson (Julianne Nicholson), while the interviews (recreated from actual interviews) provide contradictory details from the memories of Tonya, Jeff, Eckhardt and LaVona. The film tries not to make fun of them, but they kind of do it to themselves. Bobby Cannavale appears as a “Hard Copy” reporter who provides some story structure by walking us through the timeline as reported by the media at the time. McKenna Grace plays a young Tonya, while Caitlin Carver is Nancy Kerrigan. Tonya has long been labeled as the most “notorious” figure skater, and a failed boxing career was the closest she came to capitalizing on her notoriety after the scandal. Her life and the incident have been the basis for songs, books, news specials, documentaries, TV parodies, and even a Brooklyn-based museum. The film reminds us that truth and recollections are open to interpretation, and that there is much more to the story than what was reported. Respect is too much for Tonya to hope for, but this excellent and entertaining film might deliver a dose of compassion or empathy (along with incredulity and some laughs).